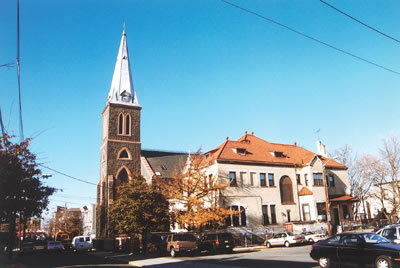 St. Peter’s Church, founded as a German parish, was suppressed in the late 1950s. 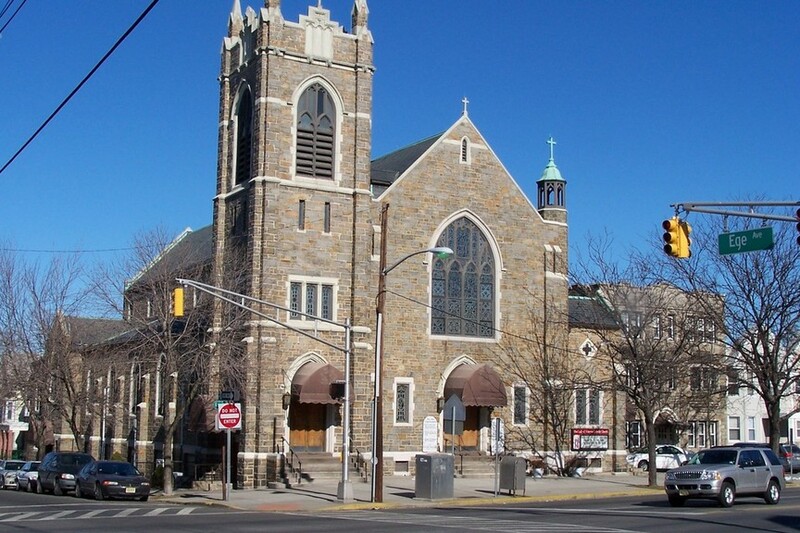 The church was constructed with red brick with sandstone accents.The church became the home of Queen of Angels Parish, an African American congregation, until 2011 when the church was closed and the congregants moved to St. Augustine’s Church. 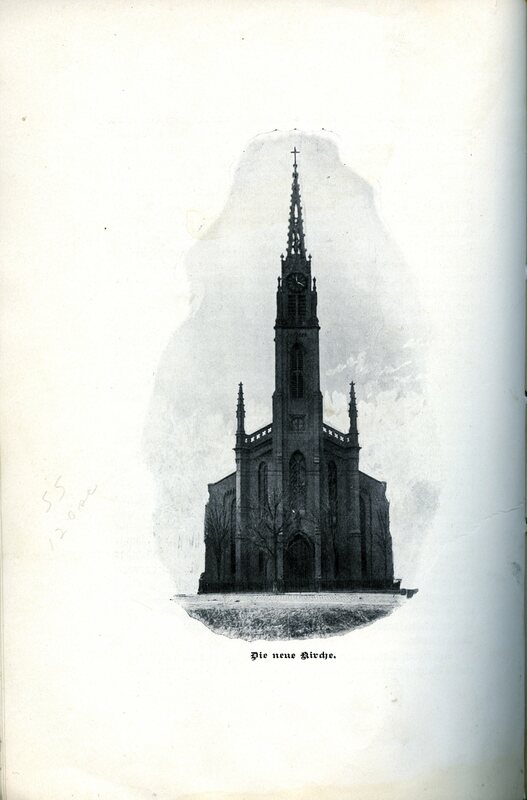 In 1862, shortly after construction was completed, a storm damaged the church, knocking down part of the steeple and pinnacles. In 1931, the tower was struck by lightning and the upper portion, containing the clock, fell to the ground. The foundation of the church was destabilized as well. In the 1960s (? 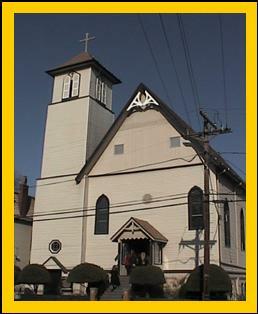 ), the church was coated with Brickote. 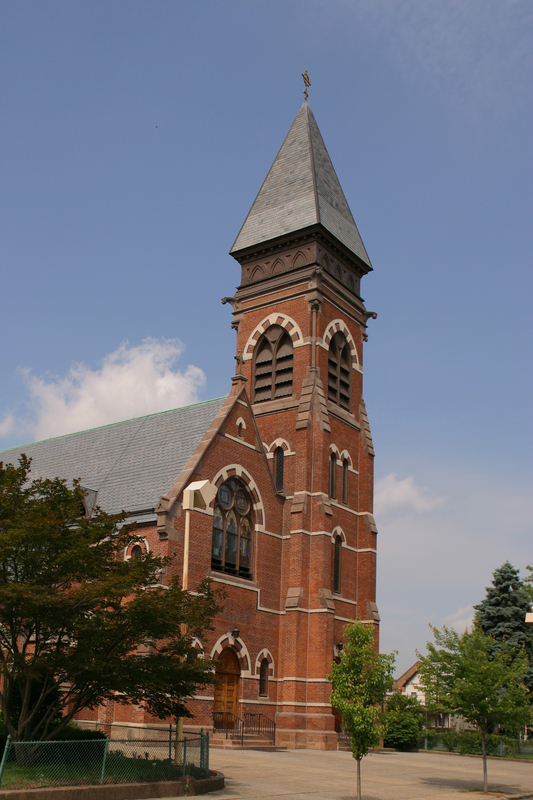 Completed in 1880 and consecrated in 1890, this magnificent church is an example of the High Victorian Gothic style. 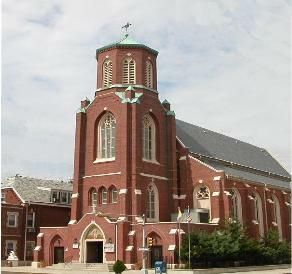 The constructional polychromy of of St. Mary’s is a distinguishing feature of this style which was predominant in 1860-1890. 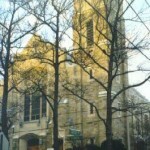 The exterior finish of the church is red brick laid in the common bond technique with the alternation of yellow and black stone in the decorative bands which surround the pointed arch windows and doorways. 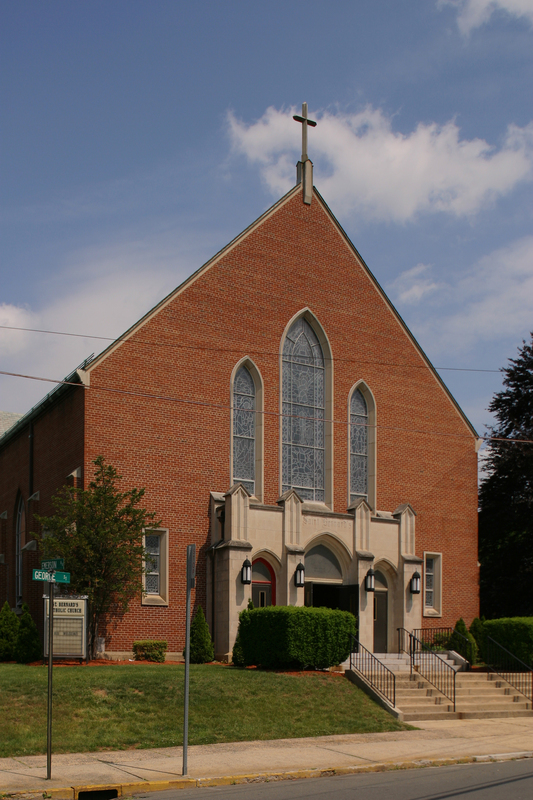 The horizontal string courses of light and dark brickwork which connect the features of the windows and doorways of the church emphasize the flatness and massiveness of the red brick walls by showing that the windows and door frames are flush with the wall surfaces. 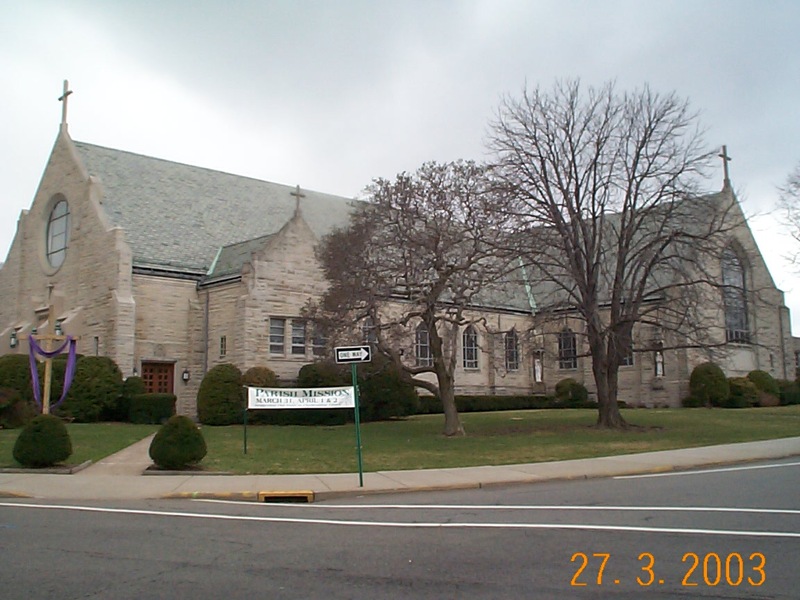 Another important feature of St. Mary’s is the bell tower which is square in design with sloping piered buttresses capped with stone coping, and the buttresses rise higher than the roof of the church. The bell tower consists of a tall pyramidal steeple, broad wood frieze, louvered belfry openings, slender colonnettes with Corinthian stone capitals, four carved gargoyles, and constructional polychromy.